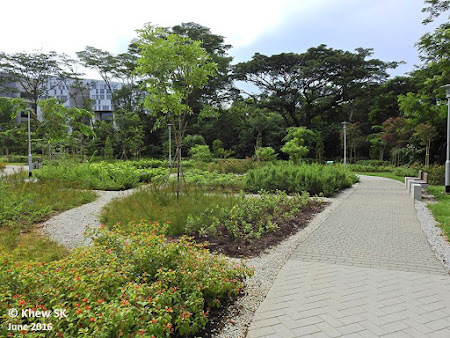 Another Butterfly Garden in Singapore has recently been completed by NParks and opened to the public on the western part of Singapore. A 5,800 sqm Butterfly Garden referred to as Fusionopolis North, it features a rain garden with bioswales, is cultivated with butterfly-attracting host and nectaring plants. 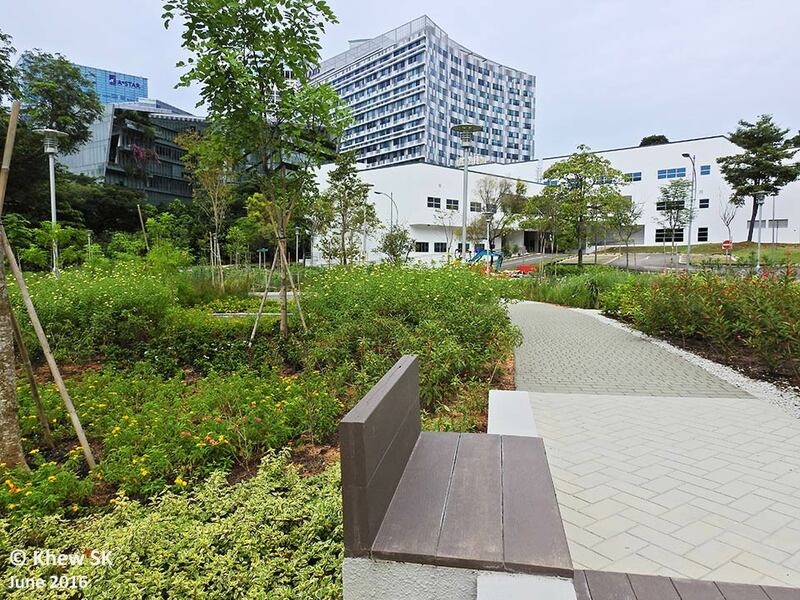 One-north Park is a 16-ha park consisting of 13 land parcels spanning across the entire length of JTC’s masterplan for one-north to create a work-live-play-learn environment. The park, when fully completed, serves as an integrated green corridor to link key developments such as Biopolis, Fusionopolis, Mediapolis and the one-north MRT station. Last week, two of the parcels were completed - Fusionopolis North (flanked by Central Exchange Green, One North Link and Portsdown Road) and Fusionopolis South (flanked by One North Crescent, Portsdown Road and Central Exchange Green). 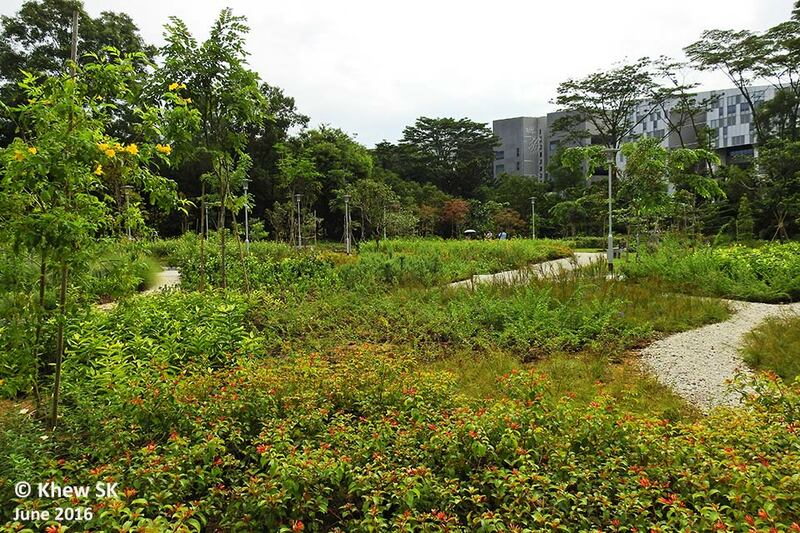 The two adjacent parcels are rich with local biodiversity like birds, butterflies, dragonflies and even a snake or two. I visited to the Fusionopolis North's Butterfly Garden during its opening ceremony last Saturday at around 4:00pm on a drizzly evening. 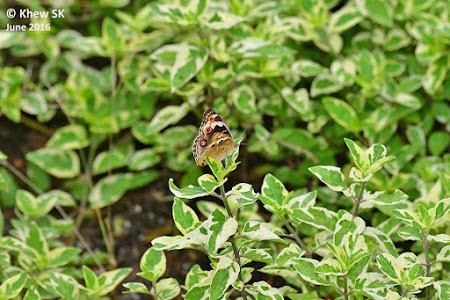 Surprisingly, there were still quite a number of butterflies fluttering around, feeding on the flowering plants. 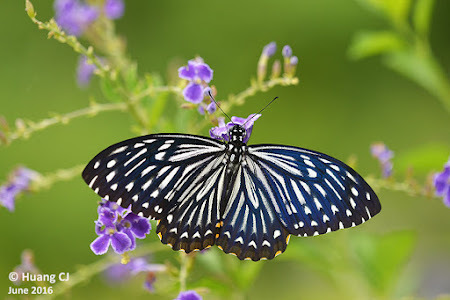 In a short 30 minute survey, a total of 11 species of butterflies were spotted. 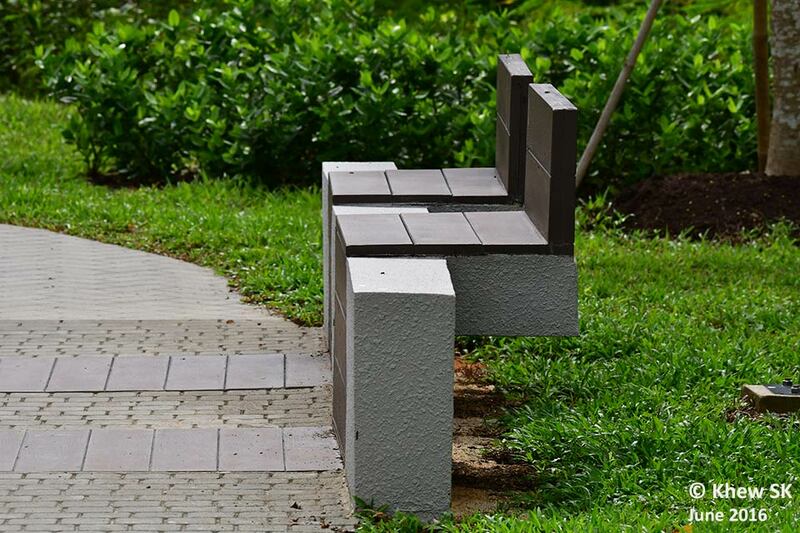 Not bad, considering the time of the day and the weather. 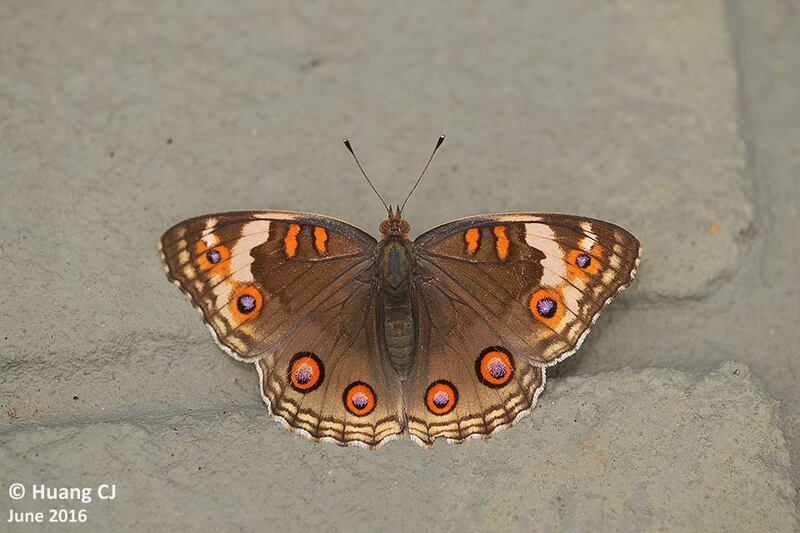 Two more follow-up observation surveys were made over the weekends and the tally is now 26 species and counting! The Butterfly Garden was active with free-ranging butterflies on both the days that I visited. The most common species was the Lemon Emigrant (Catopsilia pomona pomona) and Tawny Coster (Acraea terpsicore). There were at least 20 individuals of both species fluttering amongst the flowering plants. 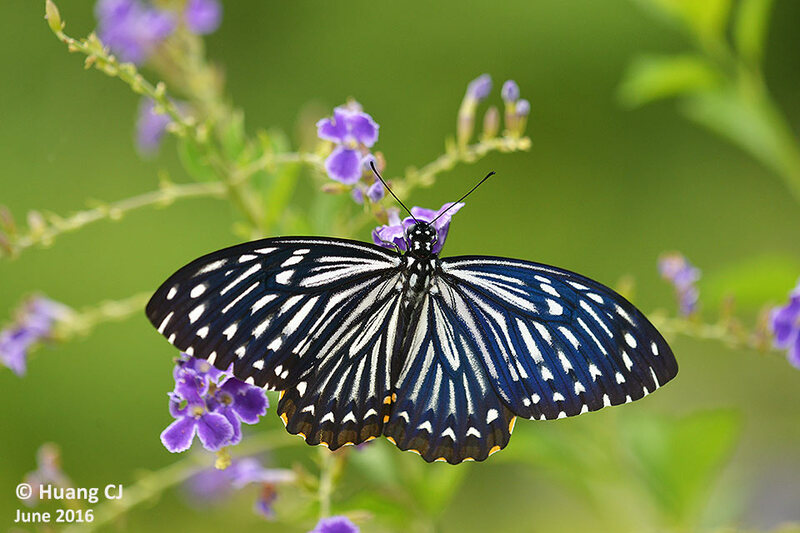 Large numbers of butterfly-attracting plants have been cultivated on the 0.58Ha plot. 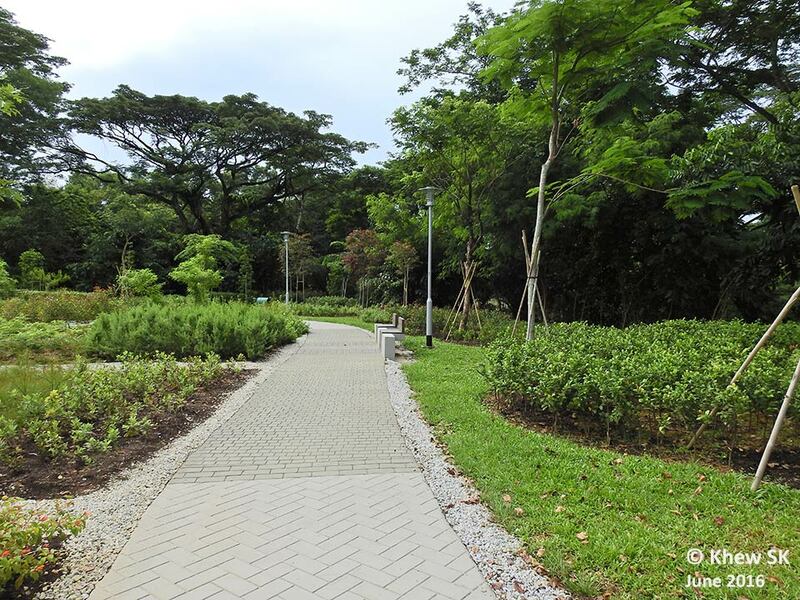 The main concrete path winds around the patches of host and nectaring plants, with secondary paths of gravel providing alternative routes around the greenery. Look for the Tawny Coster caterpillars on the Yellow Alder (Tunera ulmifolia) plants. 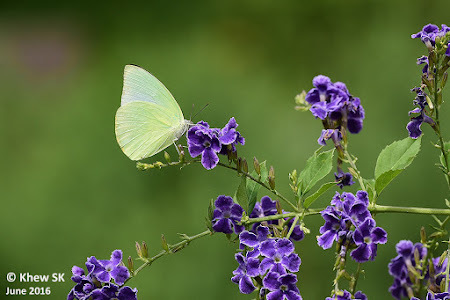 The low-lying Asystasia gangetica "Ivory Ribbons" plants attract the Blue Pansy to lay eggs on them, and their caterpillars can be found on these plants, if you look hard enough. The other host plants like the Lime Bush (Citrus sp) and Indian Curry Leaf (Murraya koenigii) around the periphery of the Butterfly Garden are sure attractants to the females of the Common Mormon and Lime Butterfly to lay eggs on their favourite caterpillar host plants. 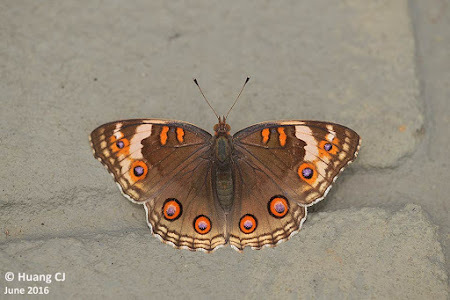 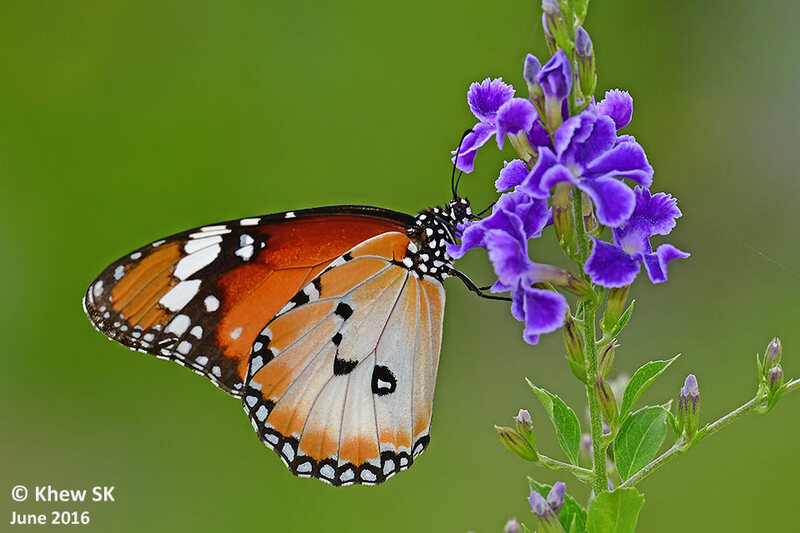 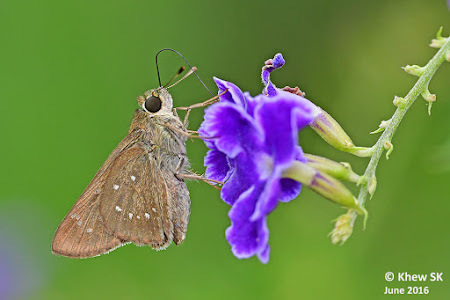 There are also many other host plants like Asystasia, Ixora, Cratoxylum cochinchinense and Caesalpinia pulcherrima to attract their respective butterfly species. Amongst the nectaring plants are the Yellow Alder (which attracts butterflies to feed on them in the early morning hours when their yellow flowers are open fully), Lantana, Ixora, and the Golden Dewdrop (Duranta erecta). 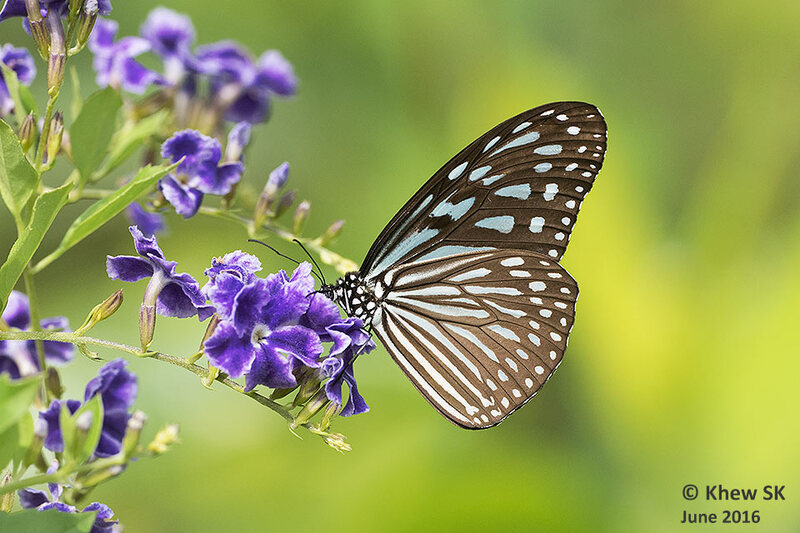 The last-named plant, with its pretty purple flowers, seems to be the all-time favourite with the butterflies at this Butterfly Garden. The success of this small patch of greenery is dependent on its catchment area surrounding the park. 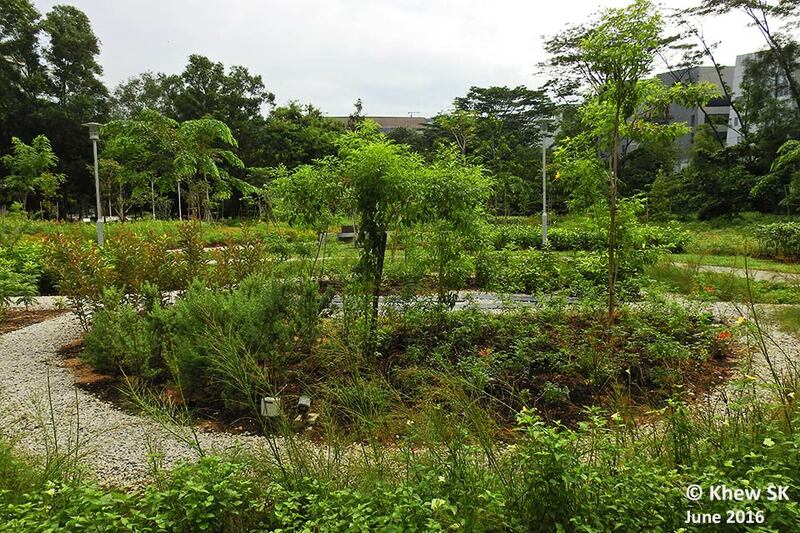 Adjacent to the cultivated patches, large areas of greenery are left in their undisturbed natural state. 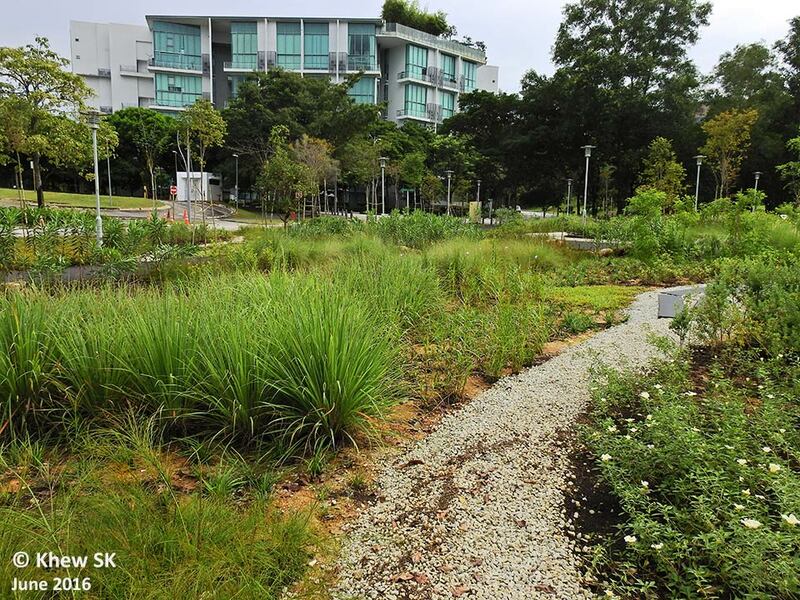 These green 'backdrops' are functionally critical as buffer areas which also host rich biodiversity in the area. 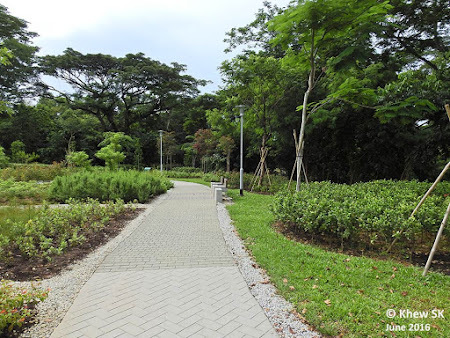 The network of Park Connectors (PCNs) then link up the larger parks like the Southern Ridges, Botanic Gardens, West Coast Park and Bukit Timah to this area. 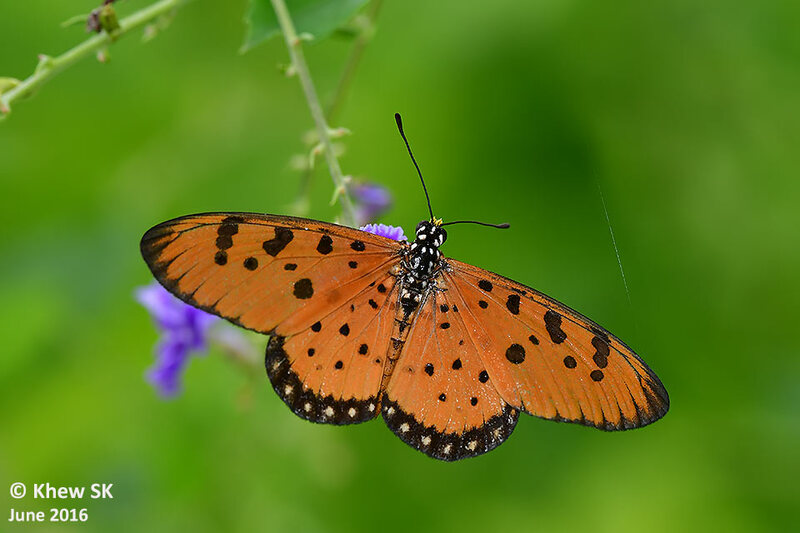 As the Butterfly Garden at Fusionopolis North is newly completed, it appears rather open and hot. 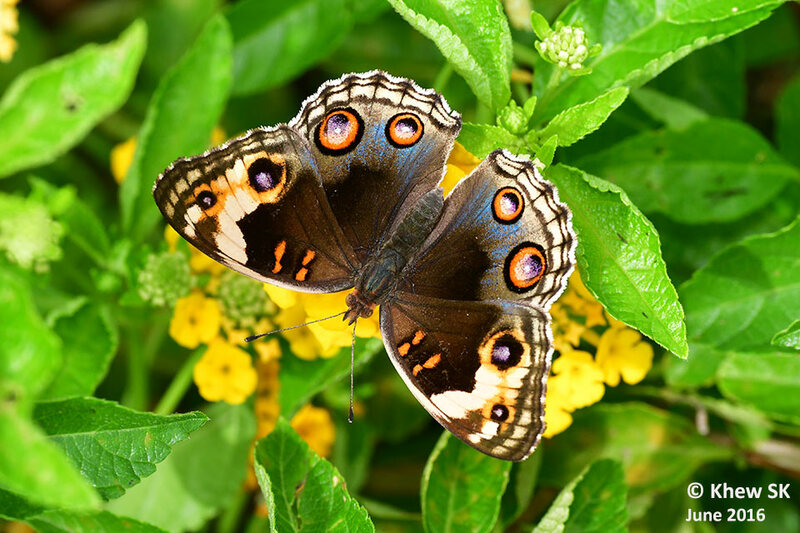 When the vegetation is more mature, there may be patches of shadier habitats that may attract other species of butterflies besides those that prefer open and bright sunshine environments. Do take a walk to the adjacent Fusionopolis South, as there are also areas that are attractive to butterflies as well. 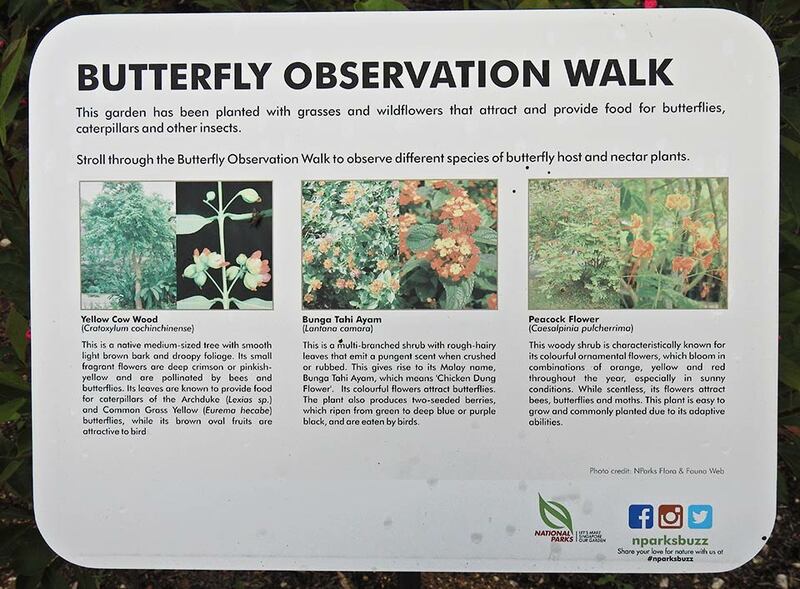 There are some interpretative signs to help introduce the types of plants that are cultivated at the Butterfly Garden. On a cloudy day or in the evenings, a visitor may be tempted to just take a seat at several seating areas along the walkways, just to enjoy the breeze and watch the butterflies flutter by. 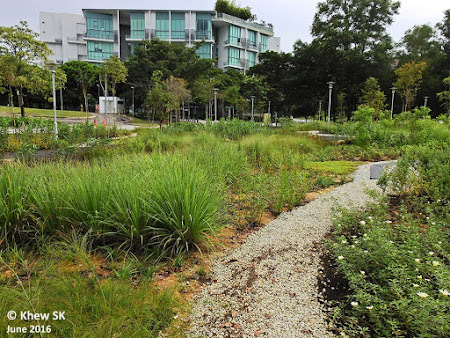 Whilst nature enthusiasts often lament the loss of our natural urban greenery, the juxtaposition of cultivated plots with existing natural plots like what has been done at One-North Park, often offers a good conservation balance that may be just right for our biodiversity to thrive within our built environment. 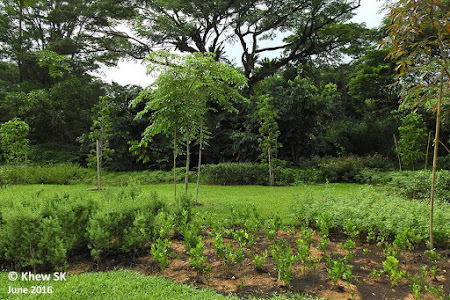 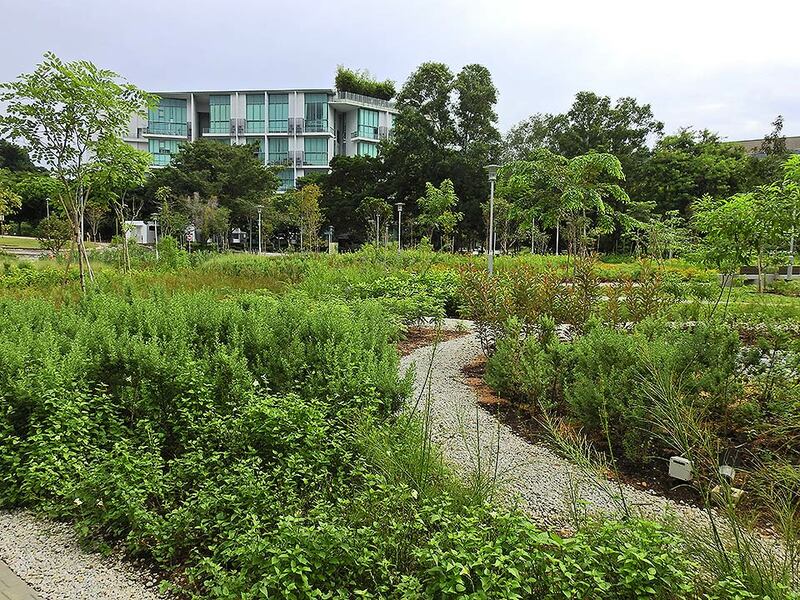 NParks and other government agencies like the JTC and URA have been making great strides in helping to maximise the potential of our urban greenery to attract and enhance our biodiversity despite the continuous need to develop our scarce land resources. 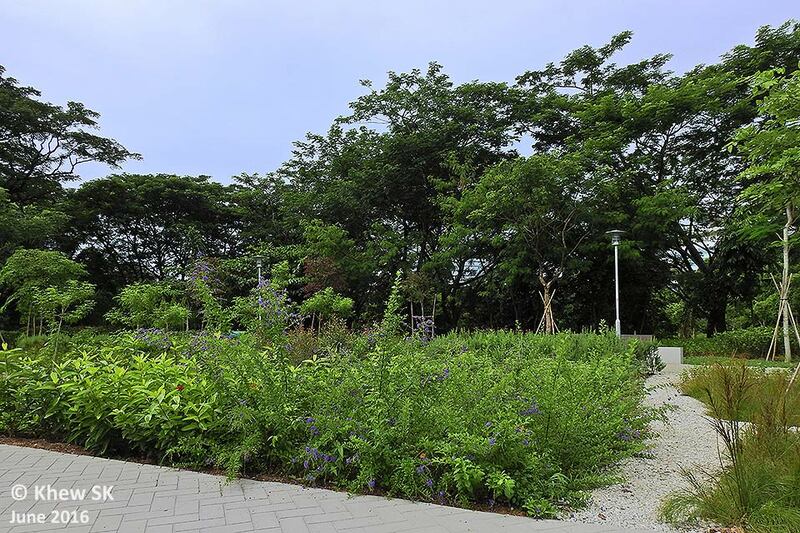 If you are a resident living in the south-western part of Singapore, pay a visit to this new Butterfly Garden at Fusionopolis North on a sunny day, and you will not be disappointed at the variety of butterflies that can be spotted at this small plot of greenery. 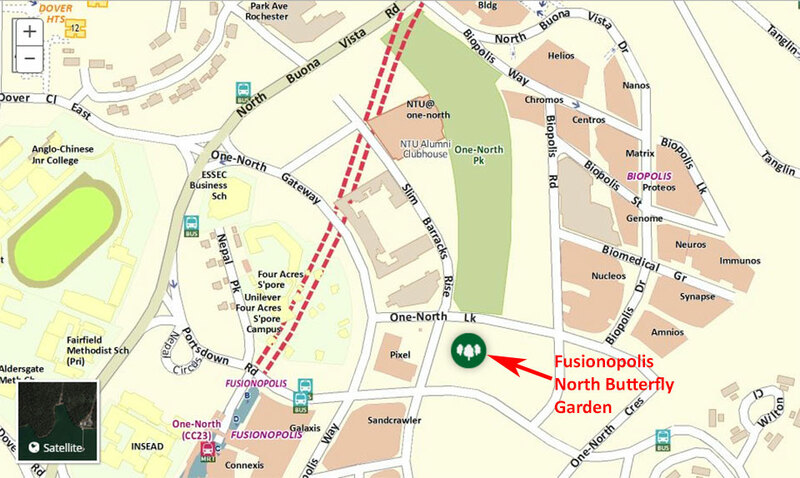 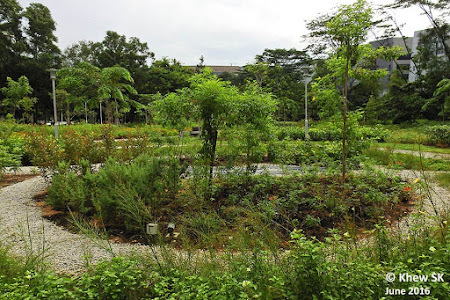 By MRT : Fusionopolis North Butterfly Garden is about a 5-minute walk from the One-North MRT station, or about a 10-minute walk from the Buona Vista MRT station. By Car : See map for details. 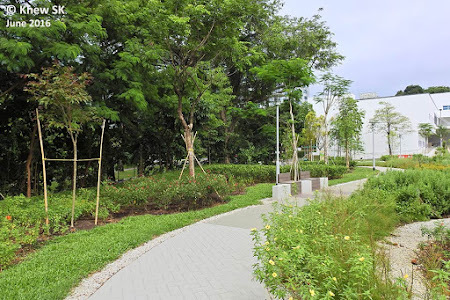 Park at the various buildings opposite the park. The basement carpark at One-North Residences is the nearest carpark. 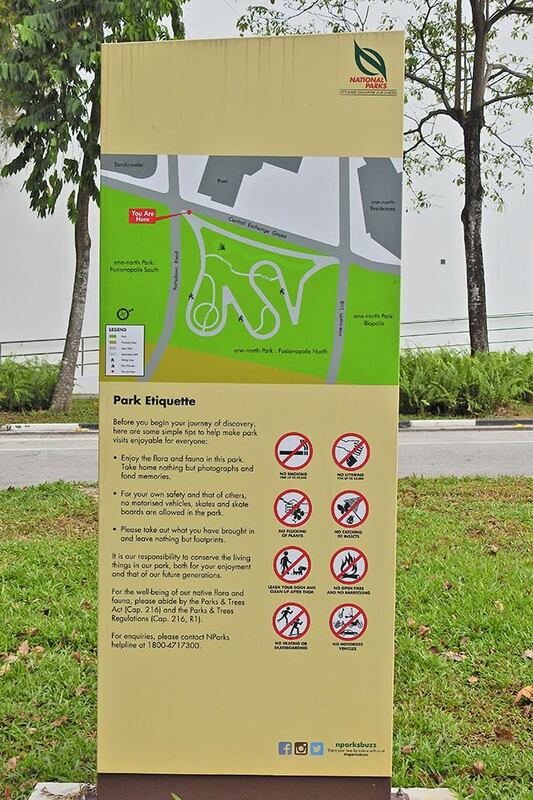 Note that prevailing parking charges apply.